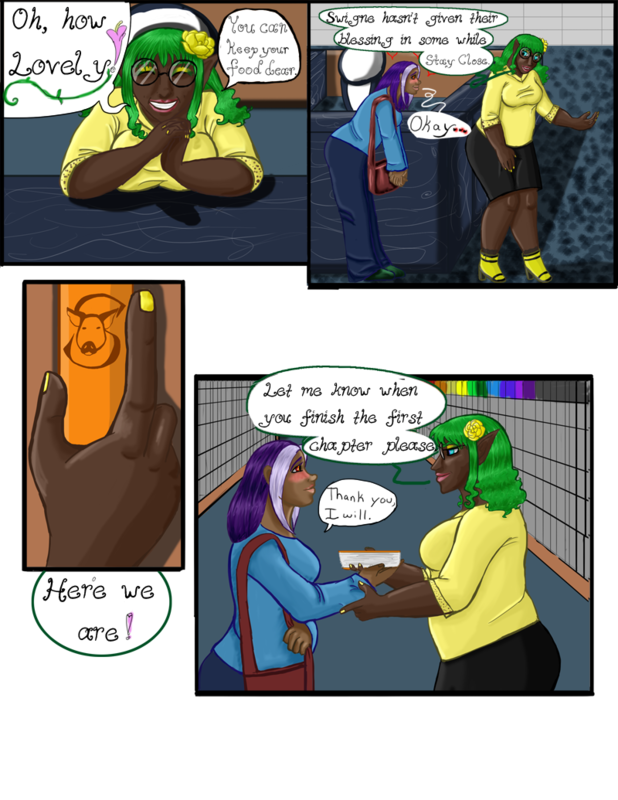 Chapter 01- Blessed - "Chapter 1 Page 8"
Librarian: Oh, how Lovely! You can keep your food dear. Librarian: Swigne hasn’t given their blessing in some while. Stay close. Librarian: Let me know when you finish the first chapter please. Wynn: Thank you, I will.